Designed by Uong Jowo, Kalimaz is a highly customizable responsive magazine blogger template. 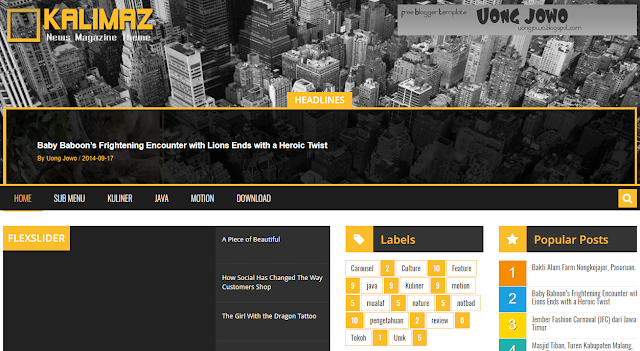 With a 3-column , numerous post widgets, a touch of color to improve readability. Kalimaz is perfect for bloggers with text content, media content, flexslider, carousel, header background slider and who want to have nice feature over what homepage posts are displayed.